Bridge of Hope Children’s Ministry is dedicated to supporting as many children and families as possible by bringing the love of Jesus Christ to people. We have become increasingly aware that families lose hope due to poverty and their ability to cope has been severely compromised. 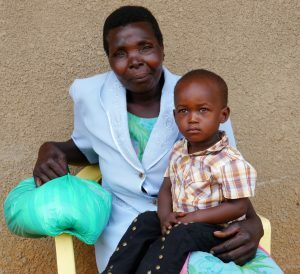 Much of the burden of care falls on grandmothers who have suffered the loss of their own children and are now caring for their orphaned grandchildren. Some families living in poor circumstances may only need short term support to enable them to take back control of their lives. For this reason Bridge of Hope Children’s Ministry has set up a “Family Support” programme. Families live in typical rural homes made out of mud and wood with an iron sheet roof. If following an assessment in their home the family meets our criteria, we discuss together how best we can support them. For example, this may be milk for a baby where a mother is unable to breastfeed, food for a family where the elderly guardian can no longer meet their needs, a replacement of a leaking roof to improve their living conditions, or a latrine to improve health and hygiene. 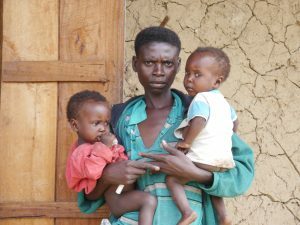 A young mum with twin girls, both with severe diarrhoea, received urgent medical care. An assessment at their home showed the squalid conditions in which they were living. By providing them with a mattress, blanket and essential food the family quickly felt more comfortable. Within two days Bridge of Hope Children’s had located more suitable accommodation and moved them into their new home. To date mother and twins are doing fine. The introduction of our “Family Support” programme is working well and we believe it is a creative way to support families whilst enabling them to regain their coping strategies and confidence in their own abilities. We are a Christian charity dedicated to supporting the poorest children and their families.